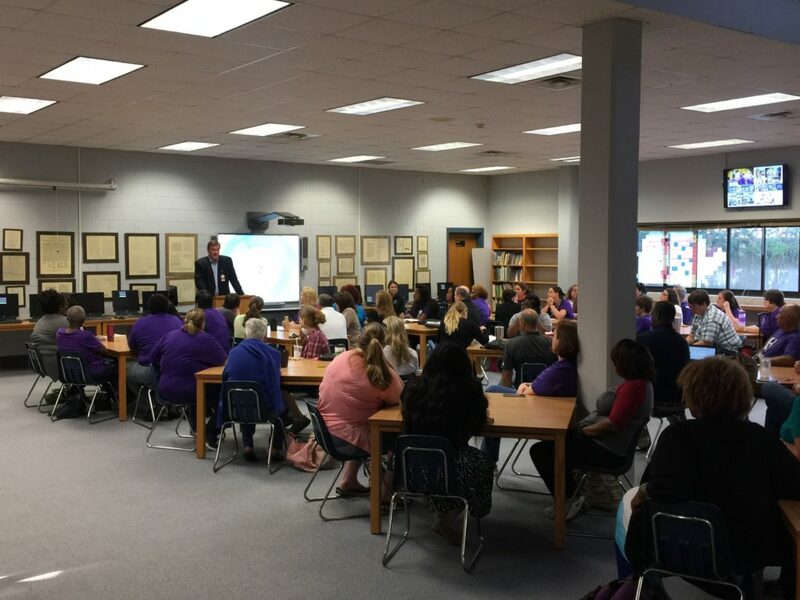 Teachers and staff spent Monday morning being updated on the success of recovery efforts at Hammond High School. Tangipahoa Parish School Systems superintendent, Mark Kolwe, addressed the group in the Hammond High library, bringing together both school personnel and the contractors that did the clean-up work over the past week. The contractors included Jani-King Gulf Coast, Cotton Global Disaster Solutions and Frank Anzalone General Contractors. 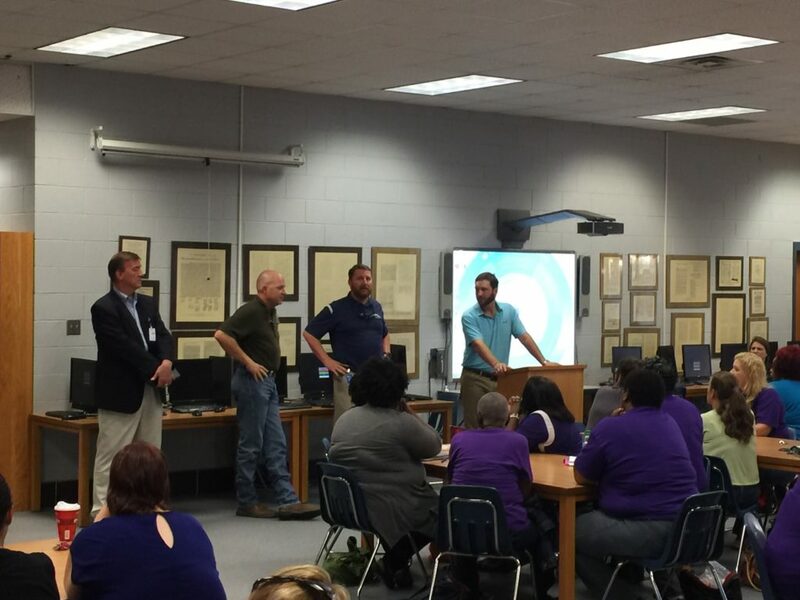 All three companies are credited with working tirelessly around the clock so that all students, staff and faculty of Amite Westside Elementary School, Nesom Middle School and Hammond High Magnet School could return to their normal schedules today. Jani-King of Baton Rouge franchisees serviced all three locations, providing post construction cleaning services. Jani-King’s franchise owners and their teams worked every day since last Monday to disinfect all classrooms and buildings that had flood damage. They also worked with each teacher at each site to make sure that their classrooms were ready and in order for when classes started today. Over the coming weeks Jani-King franchise owners will be stripping and waxing all new vinyl composition tile in each building and performing a scrub and top coat to existing floors that were not needing of replacement. 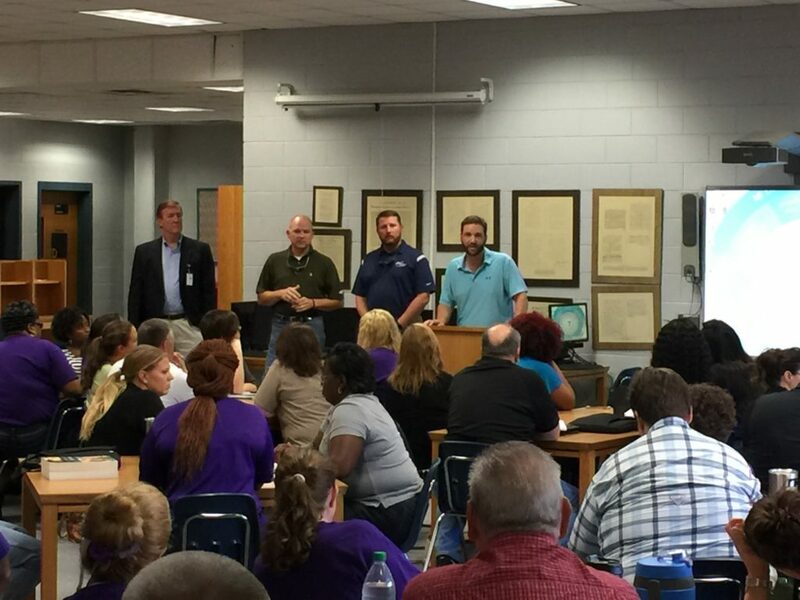 Jani-King Gulf Coast would like to commend each and every person who has been involved with these projects that allowed all students, staff and faculty to have a safe environment in which to return. While recovery efforts continue throughout the hardest hit areas, Jani-King Gulf Coast, along with a team of contractors including Cotton Global Restoration and Frank Anzalone General Contractors, is in position to help other businesses when called upon. If you are in need of assistance in getting your business, school, or government facility back and open please call our Baton Rouge office today at 225-273-5464. We can take care of everything from remediation, dehumidification, tear outs, construction, post construction cleaning, and resetting your facility back to the way it was pre-disaster.